If you’ve been away from comic books for a while but you love the Marvel Cinematic Universe, this might be a great time to come back home. Or if you know someone who loves comics but unsure what to get them, here are my suggestions for great Marvel reads from 2016. 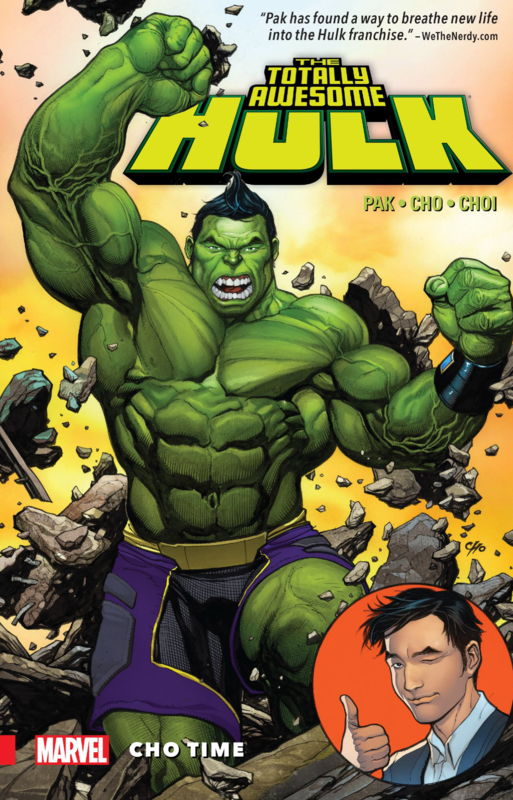 Totally Awesome Hulk: Greg Pak (writer) and Frank Cho (artist) – I love the Hulk, but when I found out that someone other than Bruce Banner was going to be carrying the “banner” of the Hulk, I was nervous. Like I was when Star Trek: The Next Generation came out. And like that show I was worried about nothing. Greg Pak has made the Hulk fresh again with a completely different angle yet with enough familiarity to bring satisfaction to long-time Hulk fans. It’s funny, clever, and with incredibly good storytelling. And the Hulk is ASIAN. Even more cool Marvel continues to bring in some serious diversity into their line-up. The collected trade paperback collects the first five issues. Really doubted this book at first but it made a believer out of me! 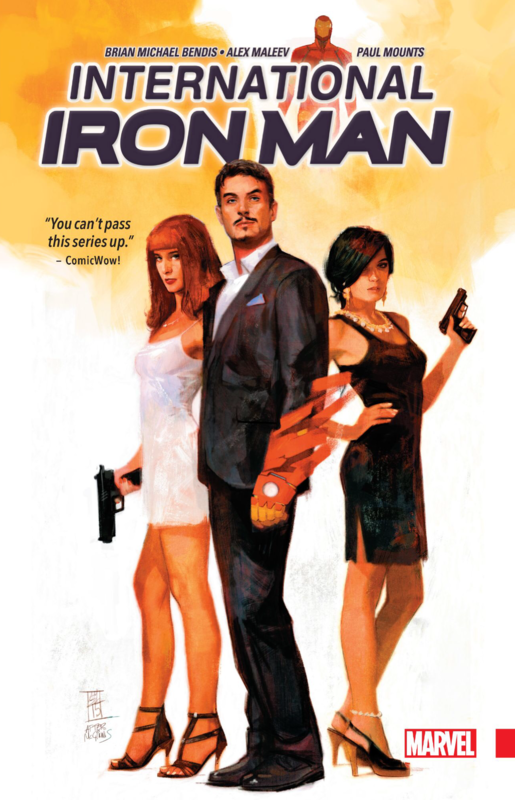 International Iron Man: Brian Michael Bendis (writer) and Alex Maleev (artist) – Known for their groundbreaking work on Daredevil, this dynamic duo brought yet another element of depth to one of the most well-known characters in Marvel-dom. It seemed cheesy to break down Tony Stark’s character yet again. How many times can they retcon (retroactively reconstruct) someone? But Bendis gave Tony a new dimension and a surprisingly interesting history that fits in with his quest for deeper identity. Only seven issues long, the trade paperback collects the entire run before it morphs into Infamous Iron Man starring…Doctor Doom. Doctor Strange: Jason Aaron (writer) and Chris Bachalo (artist) – Bachalo’s distinct art style fits in perfectly in Jason Aaron’s take on Doctor Strange. The character has gone through the wringer, often relegated to second class status, but that started to change under Brian Michael Bendis when he included the good doctor among the Avengers and the Illuminati (a collection of the most influential and powerful beings in the Marvel Universe). Now, Aaron has taken Strange into even newer dimensions (pardon the pun) and explores the toll magic takes and really delves into what it means to be the Sorcerer Supreme. Doctor Strange has two trade paperbacks collecting the first five issues that give you a great background on Aaron’s take on the character and the storyline “The Last Days of Magic.” Definitely worth a read. A modern superteam for a modern era – Champions has it all! Champions: Mark Waid (writer) and Humberto Ramos (artist) – Named after the super-hero group of the 1970’s, this version has pretty much NOTHING in common with them. A completely high-powered and young roster, calling them the Young Avengers would not only be inaccurate but a trademark infringment (there already was a Young Avengers book). This collection of young superheroes is defining what it means to be one for a new generation. They are all accomplished heroes in their own right who are tired of being told what to do by “heroes” who at times are morally compromised. It’s a fresh take on the classic superhero group book and with an incredibly diverse roster it feels like this really is the look of the future. Featuring an African-American Spider-Man, a Muslim Ms. Marvel, an Caucasian Nova, an Asian Hulk, and an android Vision – this team has it all ethnically. Wow. No trade paperback yet since there has only been two issues but that just means its easy to catch up. 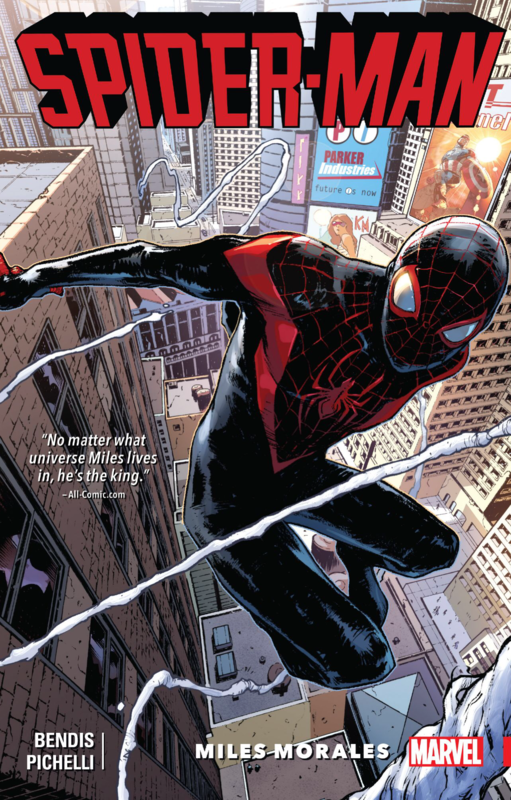 Spider-Man (Miles Morales): Brian Michael Bendis and Sara Pichelli – There is no better book on the shelves than this one. Some might have more gravitas. Some might have more action. But you can’t beat Bendis for brilliant writing and insanely well-developed characterization. This book not only deals with Miles as a teenager and the angst that comes with those formative years, but it also a very timely book, dealing with modern day issues. This is really the first superhero for the 21st century. If you have a chance, not only pick up the trade paperback of the first five issues of this most current series, but read some of the other collections like Spider-Men one of my favorites pairing Miles up with Peter Parker. Hopefully this rundown of the top 5 books will help you out in searching for the perfect gift for the Marvel Comics fan or for just some seriously good reading for yourself. Merry Christmas and Happy Holidays!